Due to the changes in the weather, we found ourselves returning back to South America faster than anticipated, giving us almost a half-day ahead of schedule. But as the port schedule is highly fixed, the Polar Pioneer captain was able to plan a route near Cape Horn to give us some views of the tip of South America. Because our boat disembarked from Ushuaia, Argentina, we would have been refused entry had we entered Chilean waters, so we had to view Cape Horn from as far as 3 nautical miles, the closest the Chilean gov’t would allow non-Chilean ships to pass. 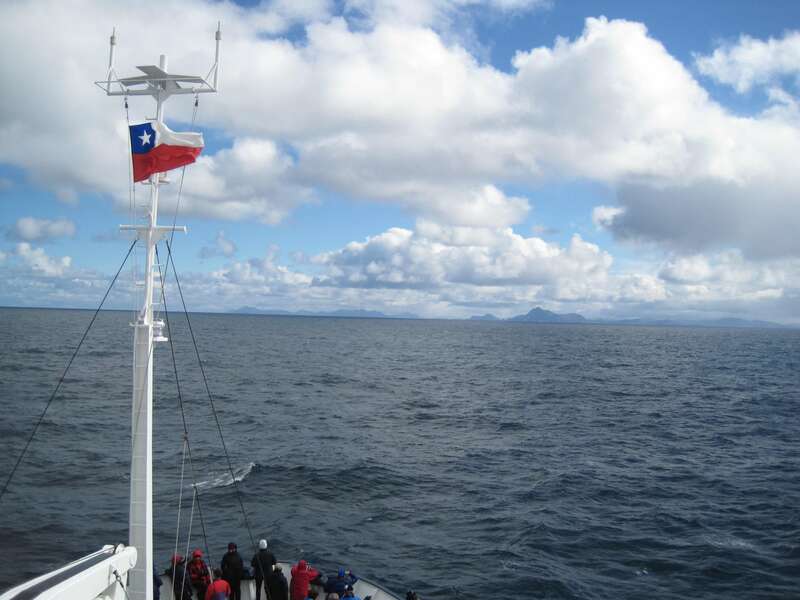 We had been experiencing a rather calm Drake Passage (at least calmer then our outbound trip) so I spent most of the trip enjoying the 360 degrees of water for the past two days. It was fun to start seeing cormorants joining the albatrosses, as the cormorants need to be near land (have a range of 10-15km) before land was in sight. The winds were indeed westerly and it was quite the change in motion as we turned away from the winds and got blown eastward towards Argentina. Several ships cross the infamous Cape Horn, and traveling east to west against the winds would indeed give a rough ride for all. Our trip ended way to early on February 28, 2012. Robert & I were back in Ushuaia on terra firma for a few days before we would return to the USA.